Size versatility: the logo will be used in a countless number platforms, including very small ones like business cards, rubber stamps and app icons. These and other use cases demand versatility and an eye for detail. Color versatility: we all like a nice, full-color logo. However, a really good logo must also work in black and white. If for some reason it doesn’t, it will bring you more headaches than satisfactions. Recognizability: attaining a logo that is easy to recognize makes things easier for the customer and the company. Durability: when thinking about how your logo should look like, forget about current trends. Good logos stand the test of time! Memorability: our brains are very good at remembering the familiar stuff. Explore freely, but don’t take things too far from the beaten path. The requirements above can work as a rule of thumb for designers and companies alike. Now, let’s move past the tips and into a real logo development process where this rules have been applied. Recently, one of our clients asked us to craft a new logo for them. 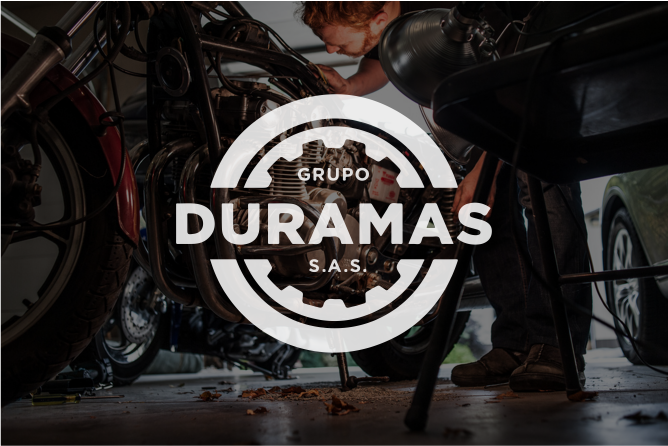 The company, which is named Grupo Duramas S.A.S., manufactures and sells lubricants and filters for cars and motorcycles. 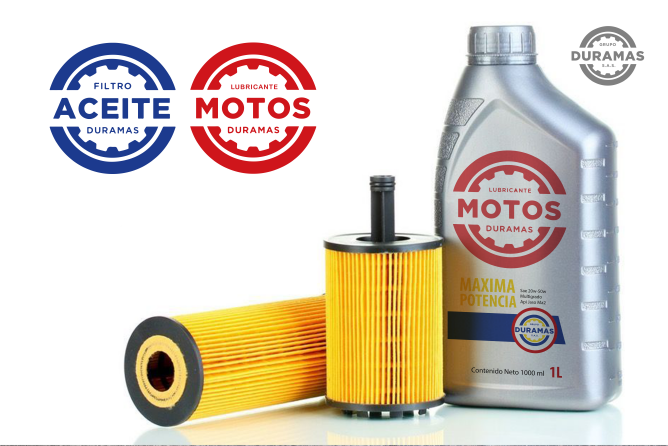 Their customers include retailers and individuals, who buy the products directly from the company or at physical locations like auto repair shops, gas stations and hardware stores. 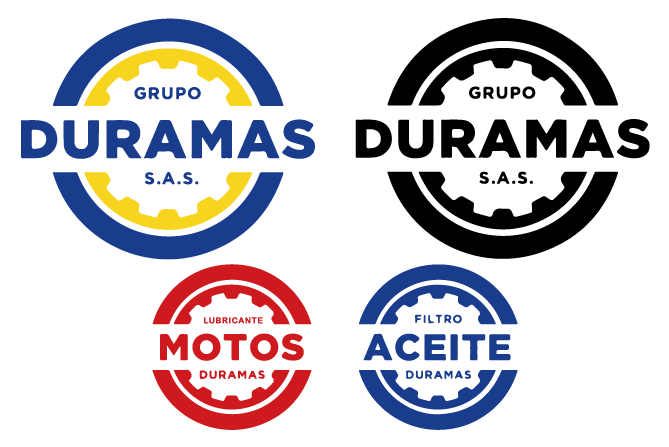 Grupo Duramas’ logo meets the 5 requirements we mentioned above. As you can see, this is very important: by following these rules, we get to deliver on time, and customers receive great logos that mirror the best of them. Have inquiries about our process? Don’t hesitate to drop us a line telling us your ideas!